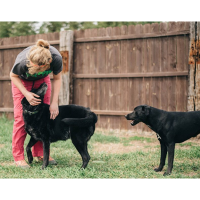 If you are compassionate, ambitious, and have a passion for working with animals… Dogs Paw needs you! We are looking for an additional team member to fill our kennel attendant position. Responsibilities for this position include dog handling, care, interacting with dogs, and routine cleaning. ** For a full job description and application please stop into our store, message us on Facebook, or contact Steph at stephs.dogspaw@hotmail.com.